Today is Tu B'Shvat, and while it is the new year for all of the trees, it is very much associated with the almond tree. This is the time that the almond trees blossom, and therefore they star in Tu B'Shvat songs, including perhaps the most famous, Hashkediya Porachat. 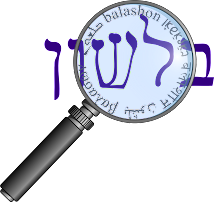 The Hebrew Language Academy put out a page today discussing a number of Tu B'Shvat words. They mention that Levin Kipnis, the well known writer of children's literature, probably coined the word shkediya שקדיה in 1919. (I'm assuming they're referring to this song by Kipnis). They point out that originally, the word for the almond tree was shaked שקד - but the new word shkediya allowed a distinction between an almond (shaked) and an almond tree. Hebrew also has a verb שקד - meaning "to work diligently, to labor, to strive". Is there a connection between the verb and the almond tree? Many sources make a connection. Klein, for example, points out that the original meaning of the verb was "to watch, wake", and the almond tree is "so called because it is the tree which flourishes ( = awakens) first." וַיְהִי דְבַר-ה' אֵלַי לֵאמֹר, מָה-אַתָּה רֹאֶה יִרְמְיָהוּ; וָאֹמַר, מַקֵּל שָׁקֵד אֲנִי רֹאֶה. יב וַיֹּאמֶר ה' אֵלַי, הֵיטַבְתָּ לִרְאוֹת: כִּי-שֹׁקֵד אֲנִי עַל-דְּבָרִי, לַעֲשֹׂתוֹ. The word of God came to me: "What do you see Yirmiyahu?" I replied, "I see a branch of an almond tree". God said to me: "You have seen right, for I am watchful to bring my word to pass." Rashi writes, "The almond tree hastens to blossom before all the other trees - so too will I hasten to perform my word." The mention of the almond-tree is not of infrequent occurrence in the Scriptures, and it would seem, from its peculiar physical properties, to be well adapted to stand among moral emblems as symbolical of that spiritual prosperity, thrift, vigor and early productiveness, which we naturally associate with our ideals of the operations of divine principles in the souls of the righteous. However, not everyone agreed with the connection between the verb שקד and shaked as "almond tree". For example Ben Yehuda (or maybe Tur-Sinai, not sure who wrote the footnote) writes that shaked (the tree) does not appear in other Semitic languages aside from Akkadian (shiqdu), which doesn't share the verb שקד. Therefore the Hebrew shaked, and the Aramaic שקדא (or שגדא) borrowed the word from Akkadian, who probably got it from some other language. Kaddari actually has shaked (the tree) in Phoenician, and the verb שקד in Punic (both mentioned on page 318 of this book.) So maybe Ben-Yehuda's dictionary is dated. But even if it's not - should this be a sign of concern? Shouldn't we assume that if the verse in Yirmiyahu ties the two together, that's enough? Compare makkal shaked, "almond staff", of Jeremiah (i. 11-12). It was intended to indicate by the second meaning of shaked the prophecy, "For I will watch" (shoked), etc. which has no relation whatever to the staff or to almonds. So whether or not there's an etymological connection, Yirmiyahu's audience got the message - God's punishment will be coming soon, like the blossoming of an almond tree. The famed "Gaon of Rogatchov" (Rabbi Joseph Rozen, 1858-1936) writes that inherent in G-d's warning to Jeremiah was a consolation. Almonds start off bitter and become sweet as they develop (in contrast to another kind of nut called luz that starts off sweet and becomes bitter). This is why the 21 days of Bein HaMetzarim are alluded to by the 21-day "staff of almond-wood": not only are we able to negate the bitterness of these days, but we are capable of turning their bitterness to sweetness, of transforming these days of mourning into days of rejoicing and gladness."